What Is a Safety Protection Clause? An exclusive right to sell listing agreement contains a clause that entitles the real estate broker to a commission after the listing expires or is canceled. This applies only in the event a buyer who was introduced to the property by the listing broker during the term of the listing later purchases the property after the listing has been withdrawn or expired. The broker, to comply with the terms of the listing agreement, typically needs to a send notice to the seller with each buyer's name within a certain number of days after the property is off the market. The safety clause sometimes referred to as an extender clause, protects the broker from collusion between sellers and buyers to save the seller the cost of real estate commission. It states that if a buyer tries to go around the broker and go directly to the seller, the seller still owes the broker a commission, providing the broker has followed procedure. Generally, there is a time limitation entered on the contract in conjunction with the safety clause, which can vary from three days to one year after the listing has expired or is withdrawn. If the safety clause is not checked on the listing agreement, then generally it does not apply. If the broker does not give written notice to the seller, then the broker has not followed procedure and will likely not be able to collect a commission if a buyer who viewed the property when it was listed goes directly to the seller to strike a deal. Some questions arise as to whether the agent loses the protection if notice is not provided in a timely manner. Say the contract states the agent has 3 days to notify the seller by identifying the individuals who had previously viewed the home under the terms of the listing. If an agent does not send the list for a week, some courts have allowed this. They look for "intent." Contact a real estate lawyer for more advice. Say Broker Jones lists seller Jane's home. A few days later, buyer John, who toured the home, calls Jane and says, "If you cancel your listing with Broker Jones, I will buy your house, and you won't have to pay a commission." John figures this will save him and Jane money. But because Jane's broker checked the safety clause box in the listing agreement, Jane would most likely be required to pay the broker a commission. It would be cemented by the fact that Broker Jones followed procedure and notified the seller of her obligation to pay a commission if a Buyer John purchases the property based on the previous introduction to the home by Broker Jones. Open listings can be tricky for real estate agents to navigate. In an open listing, the seller agrees to pay the commission to the agent who brings an offer from a qualified, ready and willing buyer. 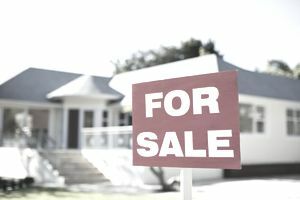 In that sense, some experts argue that an open listing is similar to a For-Sale-by-Owner (FSBO) property when it comes to getting the seller to promise to pay commission. When a real estate agent finds an open listing or an FSBO property they wish to show, they should consider presenting the seller with a one-party showing listing agreement to protect the commission. The agent and seller can negotiate the number of days, weeks or months the clause is applicable.